We are licensed to identify and remove asbestos threatening your health and environment. We have the ability to prepare and develop any site to the exact specifications of the client. 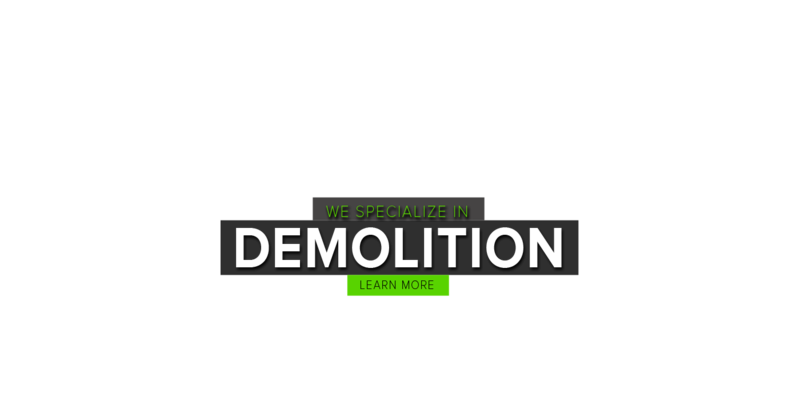 We offer structural and selective demolition to both commercial and residential applications. We have the unique set of skills to meet your asset recovery and recycling requirements. Our trained staff offers remediation services that focus on health and safety. We have the equipment and knowledge to complete any size of excavation project. We service the public, private, and federal sectors. Reclaim Company’s expertise and resources for your project ensure a safe and hazard-controlled conclusion, on time and within budget. Our extensive experience provides the ability to plan and execute cost-saving projects. Reclaim Company is resourceful in developing demolition methods that are efficient, cost-effective, and successful. Reclaim Company, LLC, specializes in site preparation and utilities, turn-key demolition, asbestos abatement and testing, asset recovery and recycling, environmental remediation, and excavation for the public, private, and federal sectors. Reclaim Company credits its steady upward growth to client satisfaction and employee experience with long-term relationships developed through communication, performance, and trust. We are committed to a safe work environment for our employees and our clients. Job-specific safety training guarantees the on-site staff will perform safely and efficiently within all industry standards and regulations.